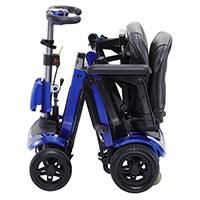 The ZooMe Flex is the perfect option for on the go lifestyles combining an ultra-lightweight design and its "Flex" feature for single motion folding and unfolding for transport. 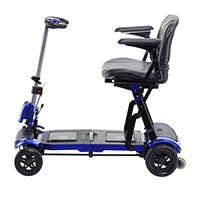 No need to assemble or disassemble like most travel scooters! 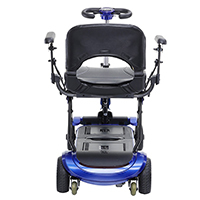 The compact design allows you to easily transport the scooter in the trunk of your car or for storage. 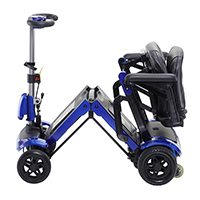 The 4-wheel design allows for optimal stability on all types of terrain. 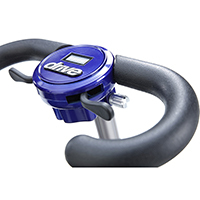 Additionally, the ZooMe Flex comes with an angle adjustable delta tiller to position the controls in the ideal driving position, and provide easy throttle control for users with limited dexterity. 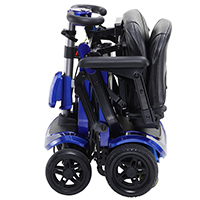 Get out there with the new ZooMe Flex!